Omikuji (written oracle) are fortune telling paper slips found at many shrines and temples. Randomly drawn, they contain predictions ranging from daikichi ("great good luck") to daikyo ("great bad luck"). 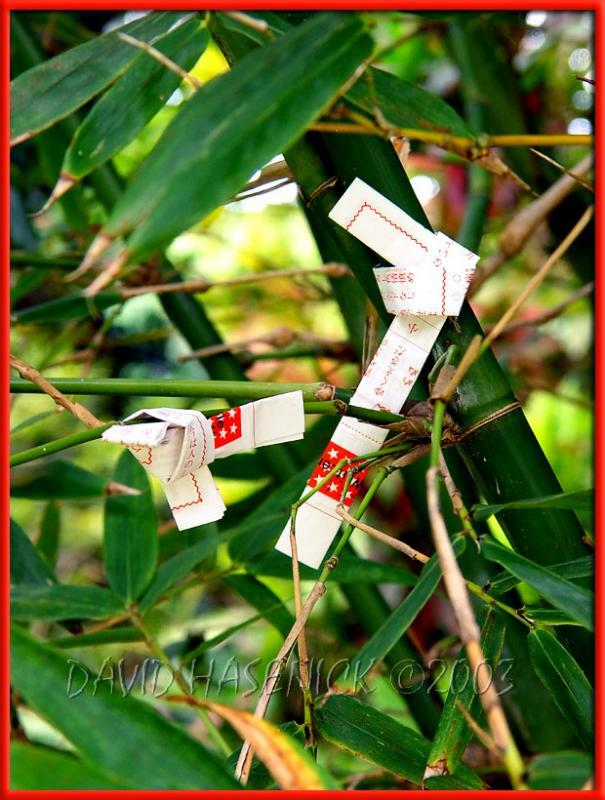 By tying the piece of paper around a tree's branch, good fortune will come true or bad fortune can be averted. My wife tied one of those to the tree at Naminoue shrine in 1964 before the birth of our first child. It worked pretty well.